I saw this in "Christianity Today" June 2018 this morning. 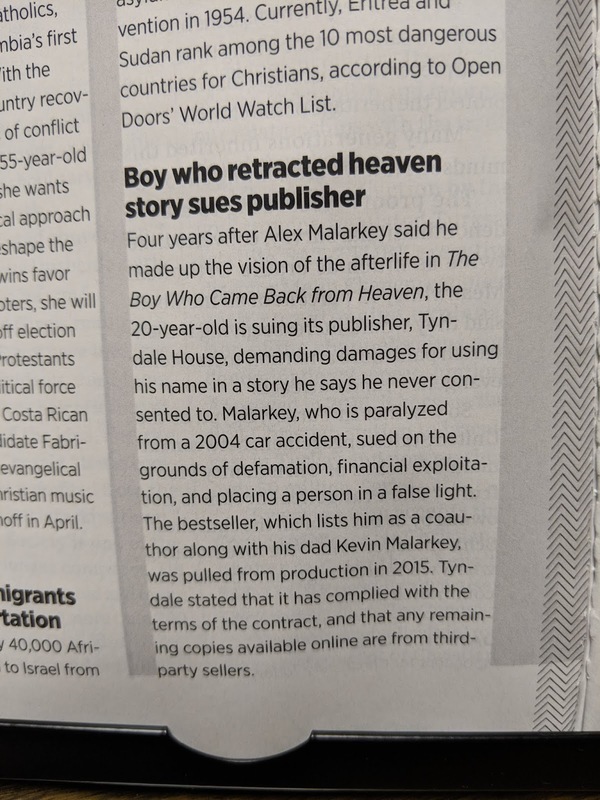 Alex Malarkey who wrote with his father, "The Boy Who Came Back From Heaven" said he made it up, now he is suing the publisher. Yet another example of why we must filter everything we take in with the unchanging truths of the Bible. It's kind of ironic that his last name is Malarkey don't you think?